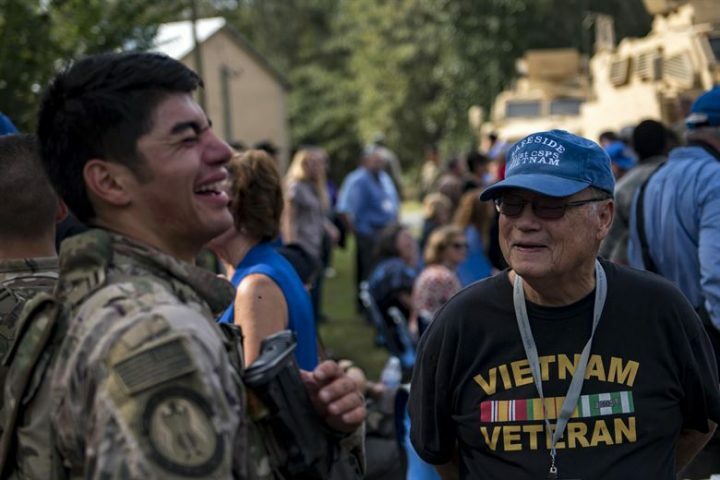 Steven L. Foy and Salvatore J. Restifo, assistant professors of sociology at the University of Texas Rio Grande Valley, examined shifts in party affiliation among generations of veterans. Among those who came of age before World War II, 55.4 percent identified as Democrats, 38.3 percent identified as Republicans and 6.2 percent considered themselves Independents. Fast forward several decades and party ties look quite different. About a third of veterans who turned 18 between 1972 and 2016 identified as Democratic. Just more than half said they were Republican, and 16.7 percent were Independent. “Our results suggest that the historical tendency for veterans to identify as Democrats is reversing course,” Foy and Restifo write. Looking for more research on veterans? Check out our write-ups on veteran suicide prevention and the challenges retired troops face when using V.A. services. We also have a tip sheet on reporting on war trauma survivors. The U.S. Department of Veterans Affairs offers a range of data and reports on American veterans, broken down by race/ethnicity, age, gender, military branch and period of time served. The U.S. Census Bureau uses surveys to collect demographic, social and economic data on veterans. Journalists can go to the agency’s website for state-level reports as well as national reports focusing on subgroups such as female veterans and veterans living in rural areas. The National Archives is the official repository for military records. While most of its holdings aren’t available online, it does provide some documents via its website, including war casualty statistics, photos of U.S. Navy ships, sketches of Civil War forts and records for military prisoners of war. The Pew Research Center issues occasional reports related to veterans, military personnel or military families. A November 2017 report, for example, looks at the changing demographics of the veteran population. Citation: Foy, Steven L.; Restifo, Salvatore J. “Reliably Republican? Shifts in U.S. Veterans’ Political Party Affiliation from 1974 to 2016,” Sociological Spectrum, 2018. DOI:10.1080/02732173.2018.1469445.